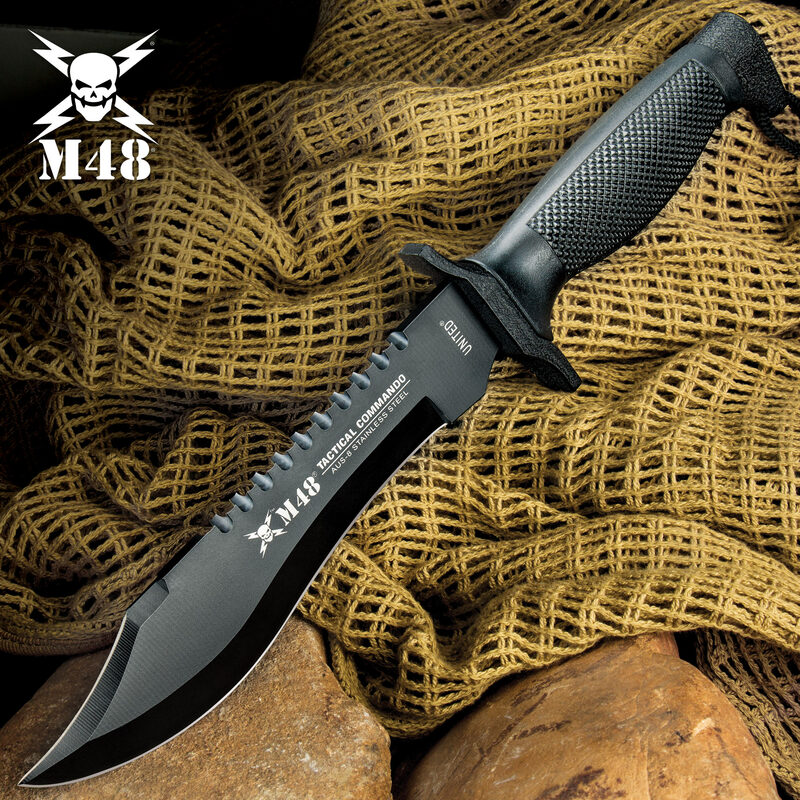 Look no further for your next commando fixed-blade knife, because you have found it in the M48 Tactical Commando Combat knife. This beast packs a 7" stainless steel blade with powerful saw-tooth serrations and a sharp edge. The rubberized handle provides a secure, slip-free grip complete with a metal hand guard and wrist lanyard. A ballistic sheath is included. 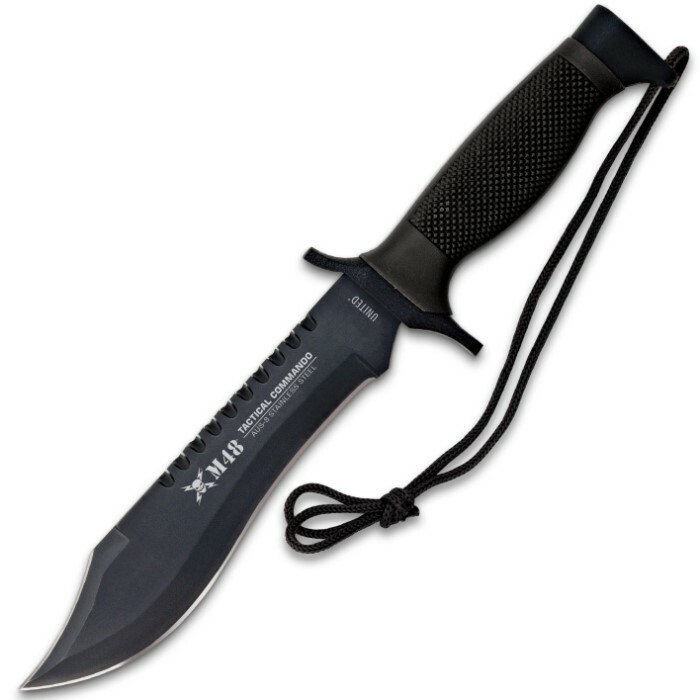 I got this in a mystery pack, it was able to make a clean cut through 550 paracord with moderate effort out of box, the main blade seems sturdy, it could always be sharper. The saw back seems sharp, snags itself on things. I wrapped the handle in 550 cord and that made a much better feel to it. This will be my new EDC for awhile. When I got this knife I was a bit disappointed because the top blade was not even sharp even though is shows it as sharp in the picture. The actual blade was decently sharp and the serrations were great. It's a pretty solid knife two. The best part is the sheath though. I got this knife for Christmas and it's awesome. It has a nice feel to the handle, and the sheeth is amazing. The blade is sharp and the point is devastating. The sawback serations are super sharp and can take on almost any task. Great knife over all. Thank you Budk! The sheath and handle of mine came in black and the blade wasn't very sharp. Thankfully I was able to sharpen it very easily and I used it to make a hiking stick. Totally worth it and it doesn't get dull easily. Love the look, feel, price. Blade very hard to sharpen due to shape and blade material. Would buy again. Look forward to more from M48.